Kentuckynerd.com Apollo 13 and The Amazing Computers NASA Used. Apollo 13 happened April 11th, 1970. It’s hard to believe that it’s been 37 years ago since Apollo 13. I wasn’t even a thought in anyone’s head! I love old technology, and the technology NASA had back in the 1970s isn’t something that a normal person got to use. Personal computers didn’t really even become affordable until the 1980s!!! 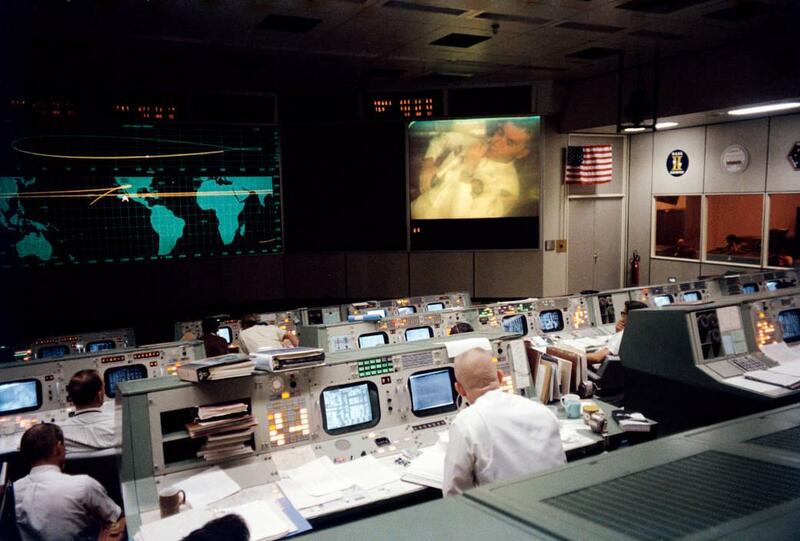 Apollo 13 and Misson Control still very impressive. From this photo, you can tell they really had top notch technology to shoot up a rocket in the 1970s. After launching the rocket they(mission control) were able to determine that I believe one of the engines had shut down along the 2nd phase of take off. They also determined everything was ok and was able to continue till about 55 hours later. One of the crew members was told to go do a routine check up of the oxygen tanks, which spawned of the most famous quotes ” Houston we’ve had a problem.” There was an electrical system fault which called 2 of the oxygen tanks to blow up. Panic ensued at mission control as no one had to deal with something this cataphoric ever. How would you like to be stuck in the middle of space and the chances of you making it home slim to none in 1970? Apollo 13 was supposed to land on April 17. Unfortunately, after having the explosion, the crew looped around the moon and never getting to land. How did they make it home!!!!?? Using I’m assuming the same “Apollo Guidance System” from 11. 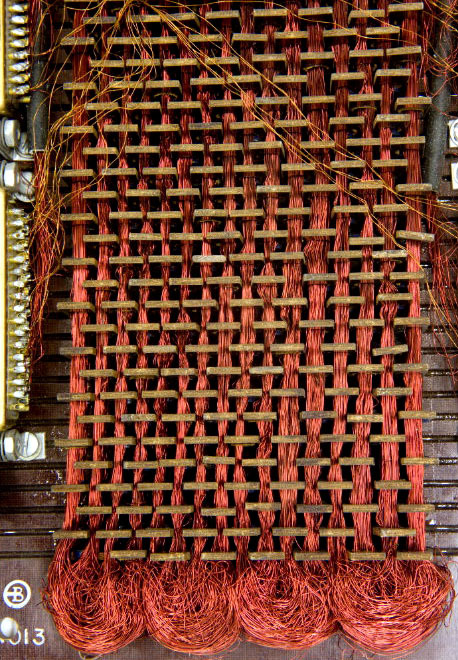 This thing carried a whopping 72 KB of memory!. Listen, folks, your Word Document with 1 letter in it in 2017 takes up more BYTES! 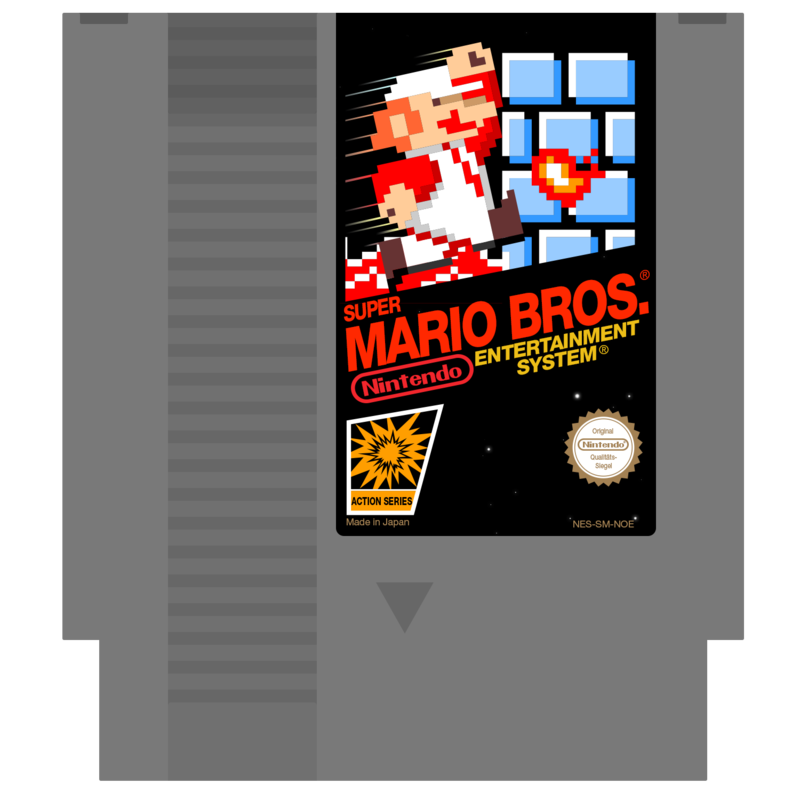 Mario on the NES was 32 KiloBytes! That’s HALF. MARIO! So you are telling me a system that takes almost 2 Mario games worth of Memory got these people to the moon and back. That is insane to even think about. Apollo 13 was a disaster but it was also a miracle. So why hasn’t NASA tried to land anyone on the Moon in ages? It seemed like we were going to the moon every week back in the day. What gives NASA? No attempted since 1972? 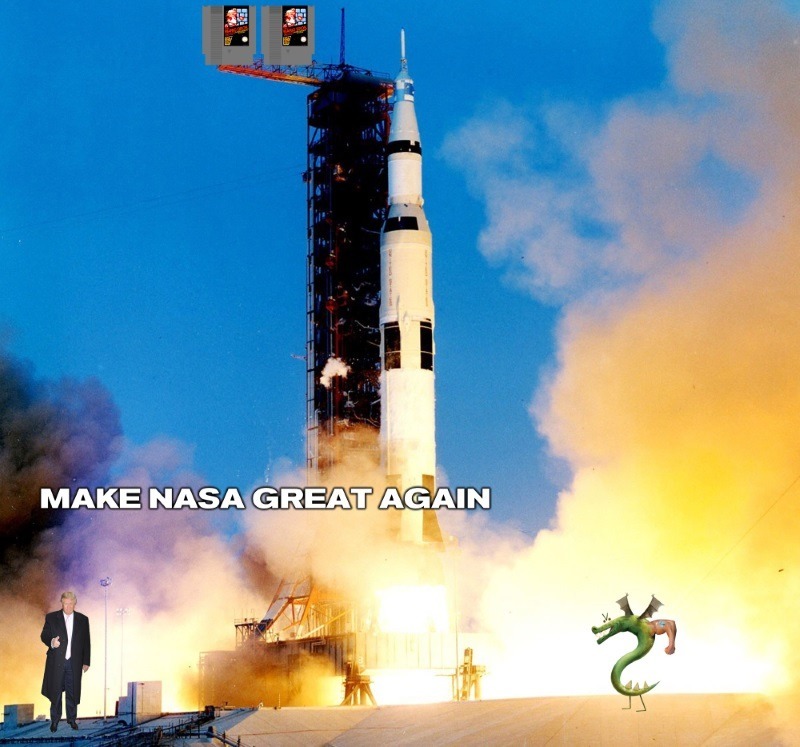 Let’s make NASA great again.